You know this thing about Mech-X4 Games? If you love robots, monsters, and fighting, then the Mech-X4 Games category is for you, where you will have the chance to find all these things, and many more. Disney XD is presenting us with another hit show, meaning the Mech-X4 Games on our website are also hits, so you should check them all out right now, and see for yourself how much fun they are! 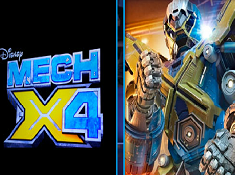 In Mech-X4 Games you can find 11 games that we've published for these kids and childrens that are interested to play Mech-X4 Games, this game gategory have been created on 04.08.2016. These games with Mech-X4 Games have been voted 1 times and the avarage of vote is 5.00 stars. We advice you to play the last flash game from Mech-X4 Games, Mech X4 Jelly Match that have been published on 13.12.2017 12:00. Mech X4 Jelly Match its a part of Mech-X4 Games category and until now its played 674 times. Try it now on Cute-Games.com! 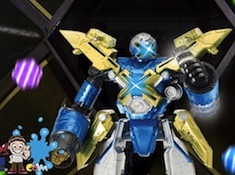 If your like the Mech X4 Jelly Match game you can write a comment in the game page. Recommend this game to your friends if you like it! Mech X4 Candy Shooter its a part of Mech-X4 Games category and until now its played 891 times. Try it now on Cute-Games.com! If your like the Mech X4 Candy Shooter game you can write a comment in the game page. Recommend this game to your friends if you like it! 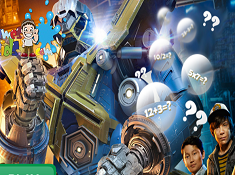 Mech X4 Math Quiz its a part of Mech-X4 Games category and until now its played 796 times. Try it now on Cute-Games.com! If your like the Mech X4 Math Quiz game you can write a comment in the game page. Recommend this game to your friends if you like it! Mech X4 Memory its a part of Mech-X4 Games category and until now its played 1208 times. Try it now on Cute-Games.com! 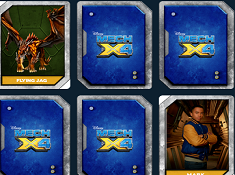 If your like the Mech X4 Memory game you can write a comment in the game page. Recommend this game to your friends if you like it! 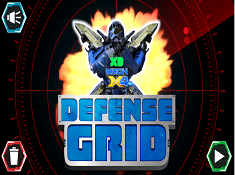 Mech-X4 Defense Grid its a part of Mech-X4 Games category and until now its played 6410 times. Try it now on Cute-Games.com! If your like the Mech-X4 Defense Grid game you can write a comment in the game page. Recommend this game to your friends if you like it! 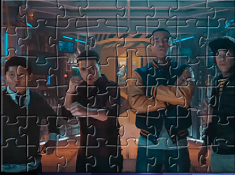 Mech-X4 Characters Puzzle its a part of Mech-X4 Games category and until now its played 905 times. Try it now on Cute-Games.com! If your like the Mech-X4 Characters Puzzle game you can write a comment in the game page. Recommend this game to your friends if you like it! Mech-X4 Puzzle 2 its a part of Mech-X4 Games category and until now its played 928 times. Try it now on Cute-Games.com! If your like the Mech-X4 Puzzle 2 game you can write a comment in the game page. Recommend this game to your friends if you like it! Mech-X4 Memory its a part of Mech-X4 Games category and until now its played 1087 times. Try it now on Cute-Games.com! If your like the Mech-X4 Memory game you can write a comment in the game page. Recommend this game to your friends if you like it! Mech-X4 Maze its a part of Mech-X4 Games category and until now its played 1345 times. Try it now on Cute-Games.com! If your like the Mech-X4 Maze game you can write a comment in the game page. Recommend this game to your friends if you like it! 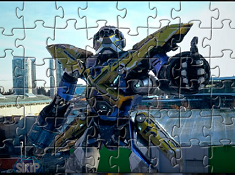 Mech-X4 Jigsaw its a part of Mech-X4 Games category and until now its played 2779 times. Try it now on Cute-Games.com! 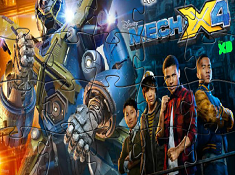 If your like the Mech-X4 Jigsaw game you can write a comment in the game page. Recommend this game to your friends if you like it! Mech X4 Puzzle its a part of Mech-X4 Games category and until now its played 2280 times. Try it now on Cute-Games.com! If your like the Mech X4 Puzzle game you can write a comment in the game page. Recommend this game to your friends if you like it! Find More About Mech-X4 Games! 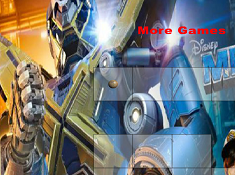 We are really happy to be able to bring you some of the most new categories on the internet, categories which we want to fill with as many fun and great games as possible, and the most recent one that we have created on our website is this one, called Mech-X4 Games, which we recommend to everyone who is now on this page, because we can assure you that playing the games in it you are going to have a great time! Now, there is a strong posibility that you might now be familiar with this category, and that is because now, when we have created it, the show that it is based on, called Mech-X4, obviously, has not yet been released, as it is supposed to premiere in the fall of 2016 on Disney XD, so with the addition of the Mech-X4 Games category, the Disney XD Games one is also going to only get bigger and better, filled with even more fun games for you to play. You don’t need to worry about needing to know things about the show, as the Mech-X4 Games on this page can be very well played even if you don’t know a thing about the show, but, if you do want to learn more about it and become more accustomed, don’t worry, as this description is here to provide you all with all the information that you need, and we are sure that if you were not 100% sure you wanted to play Mech-X4 Games before, after finishing reading this description, you will want to play them as soon as possible! What is great about Mech-X4 is that the show is set to be on a whole different scale to everything that the channel has so far presented, and it is the first show from Disney to dwelve into the mecha sub-genre. The mecha genre is a genre most commonly found in anime and manga from Japan, which features giant robots who usually fight different creatures threatening humanity or some other place, or fight other robots, depending on the show. Well, while these types of shows are really popular in Japan, and most of them are animated, it’s really great that we now get to see an English-language mecha show, which is live-action, meaning this is going to be a whole new experience for everyone watching Disney XD. 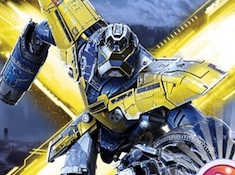 Of course, now that we presented you with information on the mecha genre, you have already gotten a taste of the show, but we are now going to dwelve even further, and tell you the premise of the show and showcase it’s characters, which in turn is definitely going to make you even more hyped up about playing Mech-X4 Games on our website! Ryan Walker, the main characters of the show, is a freshman in high school, and he is no regular freshman, as he hides a secret. His secret is that he has the ability to control pieces of technology with his mind. One day, because of his powers, he wakes up MECH-X4, a giant robot hiding in their home town, which was created by a scientist who is currently hiding from the world. Why was such a robot created? In order to defend Ryan’s hometown, of course. Unfortunately, the robot needs to get into action one day, when giant and evil creatures start attacking the town, and the robot is the town’s only hope. Of course, friendship is a very important part of the show, so Ryan is not alone in his battles, but joined by his older brother and by his best friend, because the robot needs three people to control it. Together, the three boys control the robot in battles against the monsters, and do their best to defeat them all, defend their loved ones, all the while having to deal with all the normal things high school students deal with, like school, family, friends, love, and their day to day life. Well, we expect many great things from this show, which is greatly anticipated at the moment, and we are sure that the Mech-X4 Games on our website, just like the show they are based on, are going to deliver, and the fans are going to be very happy with their product. So far, we invite you to try the game called Mech-X4 Puzzle, which is the first game that we have offered you all in the Mech-X4 Games category, but rest assured that in time this category is only going to get bigger and bigger, along with the growth of the show. Well, since we have now reached the end of this description, we can only invite you one more time to start playing the games on this page, and encourage you to show them and our entire website to all your friends also, so that together you can find the best online games on the internet!